The DW&LCT Volunteer Pen Stock (Sluice Gate) Team is made up of Wardens and Assistant Wardens, who later in 2019 will become responsible for ensuring that the leat system is working correctly as it flows through the town. The sluices at Weirhead need to be free from debris obstruction and be properly set to allow the correct amount of water into the leat. The leat itself needs to be free of obstructions, litter etc. Pen Stock Wardens will each have a Pen Stock key and will be responsible for ensuring that the sluices and leat are inspected daily to check that everything is in order. In situations of high or low water additional inspections may be required and in some extreme conditions these inspections may be during the night, or require a team to be in attendance for several hours at a time. An inspection team would normally consist of a Warden and an Assistant Warden. Inspections are generally done by one of the team (unless they are done at night or in arduous conditions), but any work in the leat or at the pen stocks will always done with both team members present, for health and safety reasons. The leat system is surprisingly complex. The effects of the sluices on water flow in the leat are sometimes counter-intuitive (for example the level of the leat can sometimes go up when the level of the river falls). As well as checking on leat levels, the teams monitor the fish and other wildlife, all of whom are dependent on the leat flowing correctly. Wardens and Assistant Wardens have an immense amount of local knowledge about the leat and how it works, many of them having lived beside it for years. In addition each Warden will, before they take up their duties, have been certified as having received 10 hours formal training from West Somerset Council, whose staff currently carry out these duties. Although the leat was built purely as a source of power, it has over the years, become a wildlife resource in its own right. We regularly see ducks, kingfishers, salmon, trout, eels, various small fish …. and some even claim to have seen an otter in the lower part of the leat. We are currently looking for additional Wardens/Assistant Wardens. By joining us, in return for a few hours work a week, you can contribute to a worthwhile, interesting and practical project in the community, and enjoy working as part of a constructive and energetic local team. If you would like to get involved please contact Philip Hull (our Operations Lead Trustee): philip.hull@dulvertonweir.org.uk. 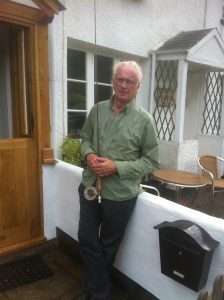 A keen fisherman, Ian has fished the Rivers Barle and Exe for 37 years. 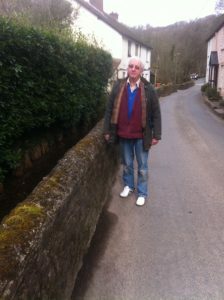 He now lives opposite the weir at Weirhead, in Dulverton. 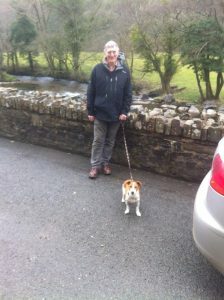 Philip Hull (Philip is also a Trustee of DW&LCT, his biography can be found on the Trustees page). He has lived at Weirhead for 34 years. Peter Romain (Peter is also a Trustee of DW&LCT, his biography can be found on the Trustees page). He has lived at Weirhead for 9 years. Derrick has lived next to the leat for 30 years. He sees it every day; either when he is working in his garden or when walking into town. 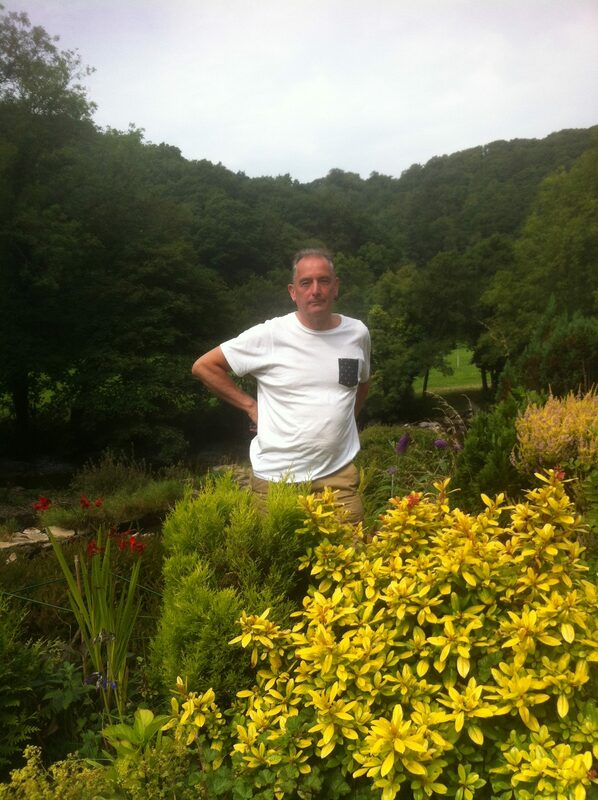 A long term Dulverton resident, Chris has lived at Weirhead for 32 years, he was formerly Mayor of Dulverton. 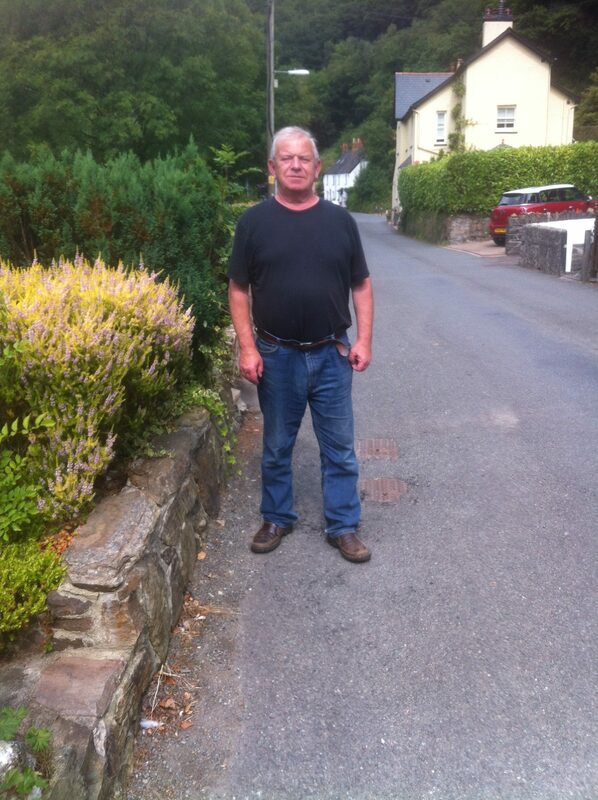 The Nelder family have lived in Dulverton for several generations.